Just like The Golden Globes, the third annual BABs (Best Advertising Billboard Awards) are looming and this year Daily Billboard is delighted to introduce a category for Best Special Extension billboard. In honour of this new award here's a cool blast from the past to whet your appetite. 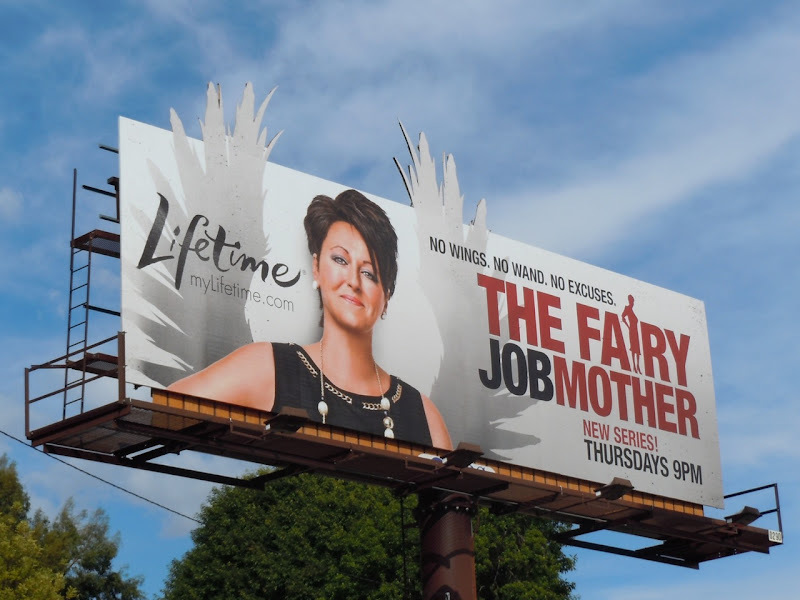 This billboard for Lifetime's The Fairy Jobmother was snapped along Sunset Boulevard opposite The Standard Hollywood Hotel on October 19, 2010. 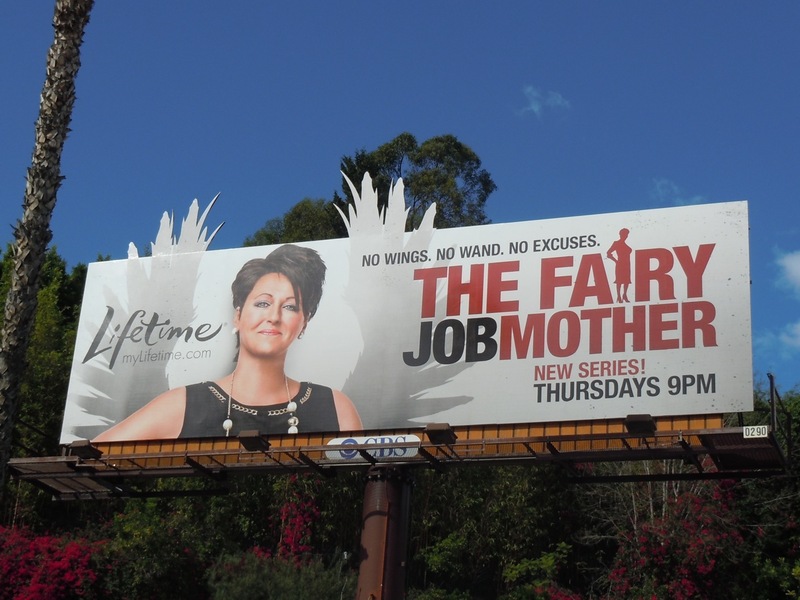 The special extension wings on this creative helped reinforce the theme of this short-lived reality TV series featuring Hayley Taylor, which helped job-challenged families to get back to work in these recessionary times. If you like this example, don't forget to place your vote or post a comment for what you think has been the Best Special Extension billboard of 2012.